Discussion in 'Sponsor Announcements and Deals' started by iFi audio, Jul 5, 2018. Location: Location: HQ in the UK, but spread far and wide. 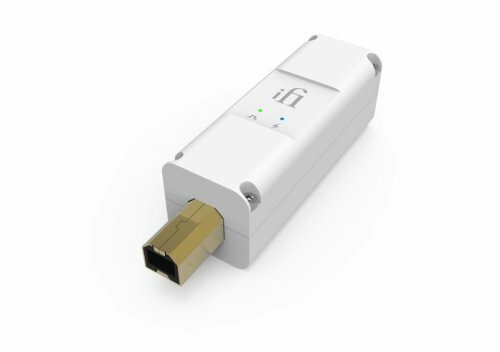 Right from the outset, one of iFi audio’s key objectives has been to reduce the noise and degradation that can build up as music, copied to a digital format, passes through a USB audio chain. The iPurifier3 encapsulates everything the company has achieved to this end and throws in a host of new features. 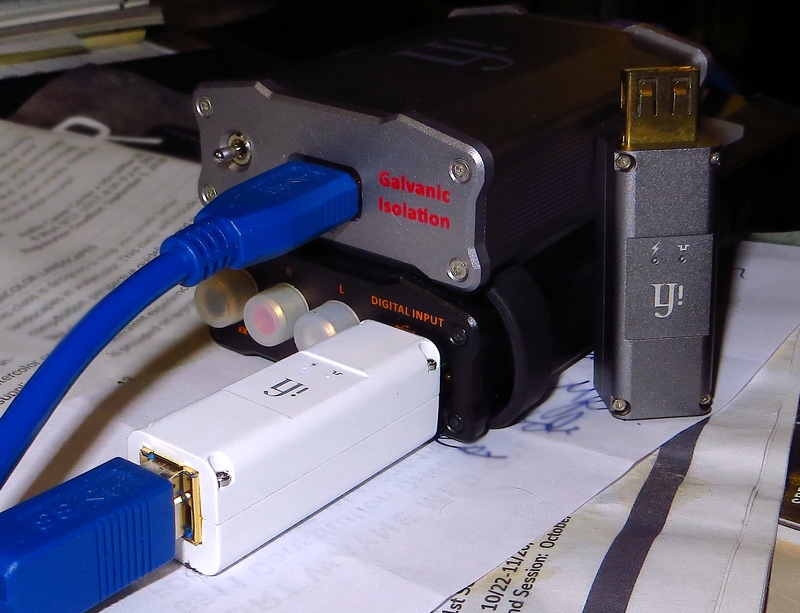 In 2012, iFi invented the first USB power regenerator – iUSB Power. Soon afterwards it designed and manufactured its own professional USB audio cables – Mercury and Gemini. Then came the original iPurifier, followed in 2015 by iPurifier2 and now the iPurifier3. · OS-CON capacitors – these have a low Equivalent Series Resistance (ESR), excellent noise reduction capability, ideal frequency characteristics and a long life span. · Tantalum capacitors – these polarised electrolytic capacitors have superior frequency and stability characteristics, giving them a super high volumetric efficiency. · High-precision MELF resistors – metal electrode leadless face resistors have excellent accuracy, stability, reliability, and pulse load capability. · New copper-alloy shielding – this excellent EMI shielding isolates devices and cables to block radio frequency electromagnetic radiation. Please note that the iPurifier3 Type B will be available from Thursday 5th July 2018. The iPurifier3 Type A will be available from the end of July 2018.
iFi’s ANC2® system is the key here. Emulating the way in which air defence radar technology works, it identifies noise frequencies then generates identical but opposite frequencies, which actively cancel all the incoming noise. In comparison to the Common Noise Filter, ANC decreases noise by 100 times – that’s 40dB – thereby enhancing the fidelity of background and inner resolution of audio recordings by several levels. Another core element is REbalance®, which removes the DC offset in a USB audio signal to ‘re-balance’ it. This noticeably decreases the threshold of background noise and helps to achieve an overall noise reduction of 40dB on the input signal and a levelling from 100mV to 5mV on the audio band through the USB signal. Then there is REclock®. Made for all downstream DACs, REclock® is a ‘3-in-1’ feature that re-clocks, re-generates and repeats the USB audio data stream to eliminate jitter. iFi benefits greatly from the breakthroughs in ‘ultra-fidelity’ audio made by its sister company Abbingdon Music Research, launched in 2001. Both companies are ahead of the pack when it comes to new high-resolution formats such as PCM, DSD and DXD. The iPurifier3 will improve your audio playback experience for many years to come. The retail price of the iPurifer3.0 is US$129 (ex-tax) or €149/£129 (incl. VAT). Stay updated on iFi audio at their sponsor page on Head-Fi. Condocondor, Audiofiend1, Vitaly2017 and 3 others like this. I've got the iPurifer2 connected to my Micro Black Label. My chain is: Laptop>>>blue USB cable>>>iGalvanic3.0>>>short USB cable>>>iPurifier2>>>Micro BL. First question is: Would a notice a difference if I upgrade to the iPurifier3? Have I got the iPurifer2(3) in the right place in my chain? I could get an additional iPurifier3 USB "B" to go into the inbound iGalvanic3.0? Would this help? iPurifier3.0 is better in comparison to its previous version. Also, it sits in your setup where it needs to sit; before your DAC and after a galvanic isolator. But your ask about audible improvement is difficult to address, there are too many variables to take any guesses. It's for the best to contact your local iFi representative and give the product a go, that's the best way. If you don't like the sound, you can return that product and full refund will apply. Ok iFi Audio fans, I've got the scoop on the new (White) iPurifier3 sound quality vs. the old (Grey) iPurifer2: Absolutely fantastic! While the iPurifier2 is a wonderful device, the new iPurifier3 significanly improves the sound quality in the areas of: dynamic range, slam, bass textures, soundstaging, AND utter lack of congestion during busy passages etc. It took me a few minutes to A/B the devices back and forth to confirm what I was hearing while listening to Fleetwood Mac's "The Chain" on TIDAL's MASTER QUALITY LEVEL streaming. The kick drum on the track starts in the background with the acoustic guitar in the forground. The slam of that drum sounded like a I was listening to a brand new amp! I've never heard my Micro iDSD Black Label sound that powerful--that driving, that dynamic slamming crush. It's a near breathtaking experience through the Massdrop 58X headphones. I just kept mumbling to myself, "DAMN!" Switching back to the iPurifier2, I noticed an equivalent level of clarity and sharpness as the iPurifier3, but some congestion during "The Chain" mid-track when things got busier with vocals, etc......and seemed to muddy things by comparison. The dynamics suffered some too. I'd say the net dynamics differential between devices is somewhere between +3dB to +4dB's to the iPurifer3. The bass line just hits harder and with better texture. The iPurifier2 can't match it. I'm very, very, happy. Great job iFi. I love you guys. snellemin, nick n, Bansaku and 1 other person like this. melons, gr8soundz and Condocondor like this. @Condocondor and @Mediahound Guys, your reports are absolutely terrific, thanks! Warranty is included. Mint condition. You want an iPurifier for USB TYPE "A"
You want an iPurifier3 for USB TYPE "A" for your Micro iDSD BL. Yes, absolutely. The iPurifier3 fastens directly into the iDSD Micro BL's male usb port......(on or off battery power--doesn't matter) You need the type "A" female USB iPurifier3. Switching back to the iPurifier2, I noticed an equivalent level of clarity and sharpness as the iPurifier3, but some congestion during "The Chain" mid-track when things got busier with vocals, etc......and seemed to muddy things by comparison. The dynamics suffered some too. I'd say the net dynamics differential between devices is somewhere between +5dB to +8dB's to the iPurifer3. The bass line just hits harder and with better texture. The iPurifier2 can't match it. I'm very, very, happy. Great job iFi. I love you guys. I have a question is the igalvanize 3.0 mostly for people who use their micro black labels at home. sometimes i walk around with it and use my phone. so i’m just wondering if i purchase this and mostly use it with my phone and ipurifer3 would it be worth it? will it still make a dramatic difference? So happy to be of service here Notorious. The Black Label ain't the most portable device. It's "TRANS-PORTABLE". The iPurifier3 makes it less so. 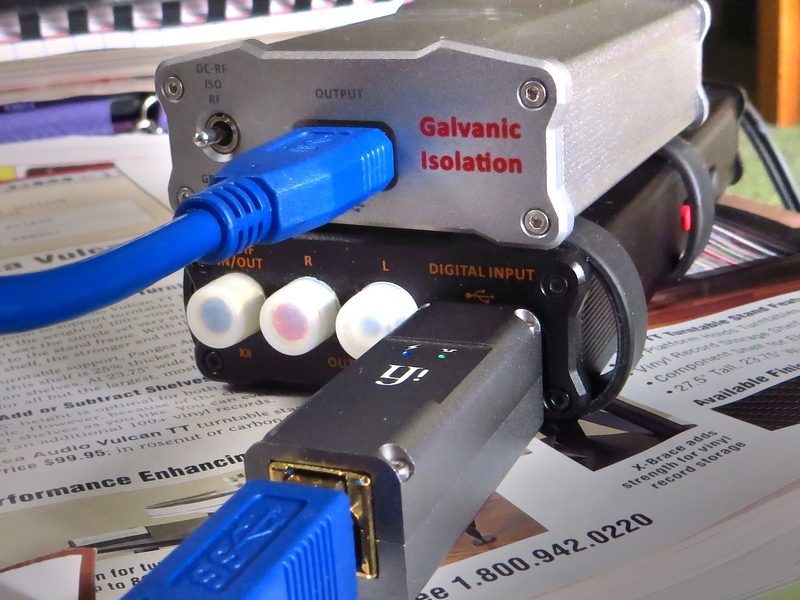 The Galvanic3.0 makes it even less so. But, yes, it's all still transportable. Both devices use just a few tenths of a volt which your phone should be able to handle. There are no power cords to deal with. If I was to ride the subway for a long time there in NY and I could leave the devices in my briefcase and slap the phone to it, then yes. I suppose you could band-and-velcro all the devices together to make sort of a transportable brick. You know in the old days people would walk around with big boom boxes riding on their shoulders and thought that was transportable...LOL. I guarantee the iPurifer3 and iGalvanic 3.0 working together, with your Black Label, will make a DRAMATIC DIFFERENCE in the sound quality. Think "Twice as good". LIke, I doubt very seriously anything could touch it. The dynamics, speed, immediacy, clarity, texture, sound staging, power, etc. are all there in spades. You'd have a very difficult time going back to just listening to the Black Label by itself. Although, it, by itself-- is very good indeed. I've never heard a Cord Electronics HUGO 2 ($2700) which is transportable also but I promise you that these three iFi Audio devices working together, along with a decent recording, will, at times, make you gasp! I'm amazed every single time I turn my rig on and listen to TIDAL MASTER LEVEL streaming audio with MQA decoding. I bought my iGalvanic3.0 used for $240. New is $379. No matter--worth every dime. Buy new and try. No like? Return. That simple. This set-up is KING. You don't even need anything but the supplied stock USB cables for incredible sound. These devices make expensive USB cables absolutely unnecessary. In summary, yes, the whole rig is more suitable as a desktop set up. But it will work as a clumsy-er "transportable" setup. You can have best of both worlds. Just leave one or both devices at home. Is it worth it? If you have to have the best freaking sound on-the-go then absolutely. Does this help Notorious4163?